PACKET : Includes 1 Panel Of Shower Curtain with 8 Rust Free Metal Ring Eyelets ( Can Be Use for Curtain Rod or Track Wheel both), Along With 8 + (1 Extra) Good Quality Plastic C Rings can be use with any type of Standard Curtain Rods. 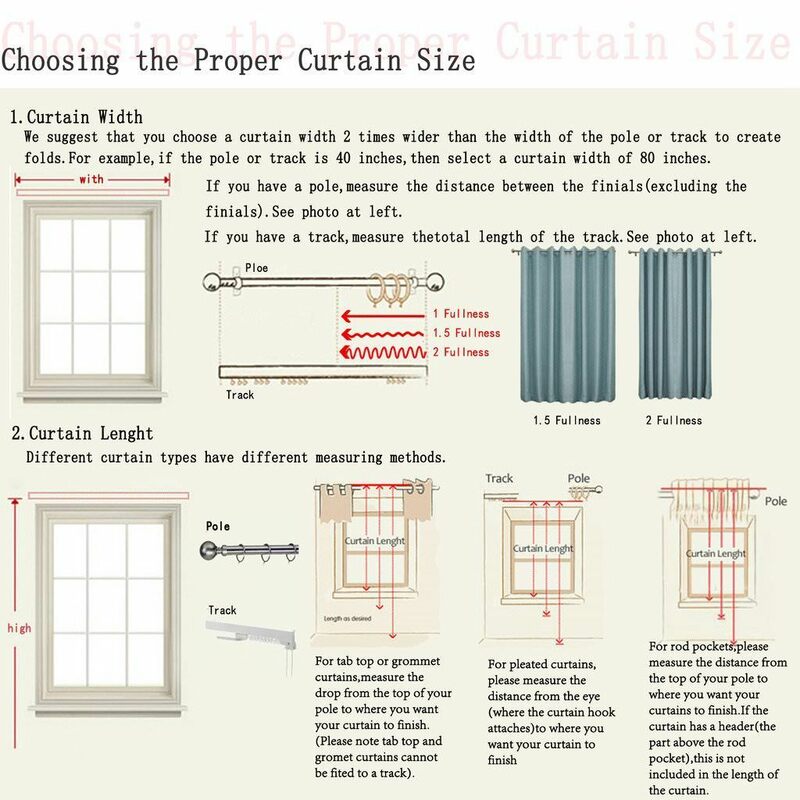 SIZE AND PATTERN: These American-Elm Bathroom Curtains Come with 4 Feet Width (48 Inches) in Flat Line, and Available in 3 Lengths 6 feet, 7 Feet and 8 Feet, Take the Proper Mesurement of your Hanging Area and Pick the Correct Size in Terms of Length, and Select Quantity of Curtains as per your Required Width. Also, these shower curtains come with 8 Rust Free Metalic eyelets and 8 C-rings which make them extremely easy to hang with Any Rod or Track Wheel. EASY TO HANG: 1 Pc Curtain Will come with 8 Metal Eyelets ( Also Suitable for Track Wheel Mechanism) along with 8 + 1 (Extra) Good Quality Plastic C Rings, That can be Use with any Standard Curtain Rods.